This CPU, so far, has been very good for gaming and basic web browsing tasks. It has 4 cores and 4 threads and runs at a pretty fast 3.2 GHz. I haven't run many CPU-intensive programs yet but I plan do once I have more time for video editing and other stuff. Stock cooler is working for now, but I may upgrade in the future. This motherboard is mATX and has 2 RAM slots and 1 PCIe slot (with 2 Express slots). It comes with red LEDs on the corners and EZ Debug LEDs. It's black and red so it matched my color scheme and I have had no problems with it. The SATA ports are fast so I can get all of my games to my hard drives, and all of the IO connectors work well. It only has 2 fan headers so if you plan on having more than 2 case fans then get a splitter. RAM is RAM. It works very well, it's fast, it's dual channel, and it fits into my color scheme. What more could you ask for? I didn't realize that the motherboard only supported 2133 and this was 2400, but I don't mind the slower speed. 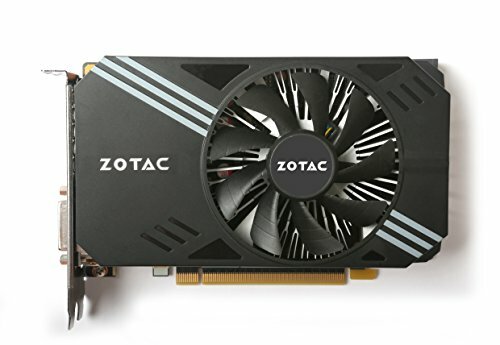 This was the cheapest 1060 that I could find, but it is still very nice! It's a mini card, so it isn't much longer than the PCIe slot which helped with cable management. I have played only a few games so far, with the most intensive being Just Cause 2. Even on maxed out graphics it still got up to 90FPS in busy areas. My old laptop could barely run it on Low at 10FPS. If you are building in a small case or want better cable management, definitely get a mini GPU! EDIT: I have since purchased far more demanding games such as Just Cause 3 and Hitman Absolution, and both of those games can be maxed out and get around 60-70 FPS in 1080p. Overall, if you are having doubts about buying this GPU, don't have doubts! It's very powerful. It is advertised as a "Gaming Power Supply" and so far it has lived up to its name. It is semi-modular which definitely helped with the cable management, but some of the cables were a little hard to bend. They were braided cables, which was nice. They don't have the Redshift edition on PCPartPicker, but what's different is that the Redshift comes with 2 140mm front fans, a 120mm back fan, red PCI covers and red accents. The regular Spec-02 has only 1 120mm fan in the front. The case has a window, which is very nice. The cable management in this case was pretty good, especially for a first time builder. The side panel bulges out a bit which helped in routing the PSU cables. While the cables still are a bit of a mess, I tried to get them as neat as possible. Also the fans are really quiet. It made me format the HDD I was installing it on 3 times before i could download it. (Probably due to the age of the drive lol) Once it was formatted it only took about 15 minutes, which surprised me. At first it was kinda slow on startup (45 sec to boot) so I disabled everything on startup. That made it slower (almost 4 min boot) so I set up the startup programs with some help and got it to boot in 15 seconds. Setting everything else up on it was easy, just make sure that you don't disable anything important! The optical drive was from a pre built PC that died 2 years ago and was just sitting in our house. We also got the 500GB drive (currently holding Windows) from that PC. It can get kinda loud on startup and while reading a disk, but it is almost silent when not in use. The 500GB was pulled from the dead PC and the 1TB was purchased by my dad for said PC. The 1TB was never installed into the PC due to the lack of mounting spots. The 500GB is being used as the "boot drive" (we can't really call it that, it's more of an OS holding drive) and a drive for my dad's files, and the 1TB is for my brother and I to store our games and files. They both have lasted for a while and are on track to last longer. EDIT: Windows has been acting kind of slow lately. Usually a restart will fix the problem but it is still annoying. The 500GB drive's age is starting to catch up to it and isn't as fast as I would like. An SSD will hopefully be purchased soon. 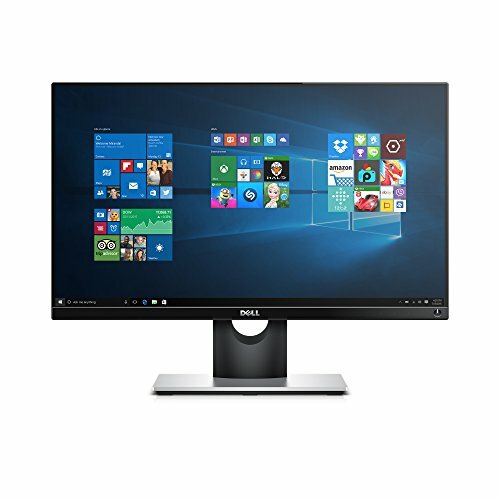 The Dell S2316M is a very nice monitor. It is virtually bezelless and is 1080p. I got it to replace an old 900p Acer monitor. I thought about setting up dual monitors but there isn't enough room for them. The Acer monitor will likely be saved for a budget build using the dead PC's old case and cheap parts. The keyboard and mouse were reused from the dead PC because they were good, and no one has had a problem with them. Future Upgrades This PC is hopefully going to last for a while, but I will still make upgrades along the way. SSD-Current HDD with OS is not exactly the newest or fastest thing. Almost everyone I have asked has said to get an SSD and I will likely try for a 320 GB one for Windows and some other files. RAM Sure, 16GB will probably last me until GTA 7 comes out but I will eventually upgrade to 32GB. Keyboard/Mouse I'm not exactly using gaming peripherals... The second upgrade I plan to make is getting a better keyboard and mouse for gaming. Sure, the ones I have work, but I really want a mechanical keyboard and a mouse with lots of buttons! The easiest part was installing the GPU and RAM and the hardest parts were probably setting up Windows and attempting some cable management. The entire build was fun and I would totally do it again! I apologize for the lack of pictures and the poor quality of the pictures that are there. I took post of them on my phone but some of them were taken on a camera and haven't been -put on a PC- uploaded yet. If you have any ideas for a name please leave it in the comments! Thanks for reading! 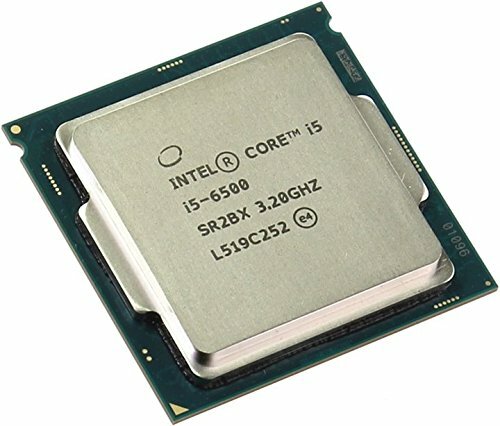 It's fast, has 4 cores, is new, and runs well. Perfect for people who need more than an i3 but don't wanna spend i7 money. A great red/black mobo that comes with LEDs. I took off 1 star because it only has 2 case fan headers. It's RAM. It's red, fast, and SHINY! It looks good with my color scheme. A little card that packs a big punch! Plays all of my games maxed out at around 60FPS with maybe a few small drops when there are a lot of explosions. I got the Redshift edition. It is an amazing case! Side window, lots of cable management, and the Redshift had red accents! It also upgrades you to 2 140mm front fans instead of 1 120mm fan. It is only at Micro Center right now. It's quiet and works well. The cables are braided but are a little stiff which makes cable management a bit of a challenge. It has a white fan and there is a snowflake on it so it HAS to run cool! Took a while to set up but once it was there it worked wonderfully. 960 Forever! But it's a really good build! :D Good job, person that I do not know at all in real life! I'm sorry about the lack of other benchmarks and temp stats. I have school so I am busy, but I will put them up within a week! What kind of settings do u play this on and still maintain the 60 fps you mentioned? For most games they can be maxed out and can run 60+, but some games have to be bumped down to High to stay above 60 consistently. really nice build man!! how easy was it to build it? also how many displays can it do? Thanks! It was pretty easy, it took about 2 hours to build and the hardest part was probably cable management. I have it only on 1 display but it probably can handle 3.
cool. what displays can it do? like does it have hdmi, DVI, and VGA? It has 1 HDMI, 1 DVI-D, and 3 DisplayPort. It doesn't have VGA but if you want you could get an adapter. 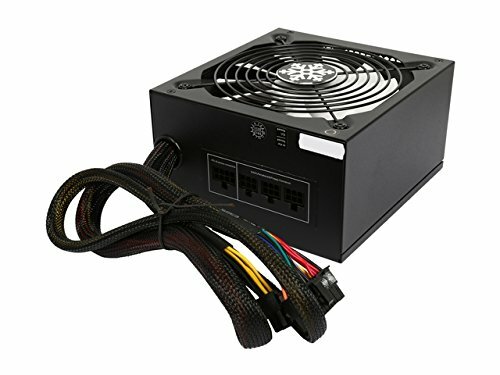 How is the PSU working for you? I'm thinking about getting it bc its semi modular and cheap but I've seen some bad reviews. So far I've had no problems with it, it works well and the fan keeps it from overheating. The cables are kinda stiff but not much worse than most other PSUs. I would definitely get it.